This Couple’s Honeymoon Pics Look Straight Out Of A Movie! Your wedding sure is the most special occasion of your life. And if there’s something that you wait for, just as much as you do for D-day, it is your honeymoon! This is one vacay that’s got to be perfect! 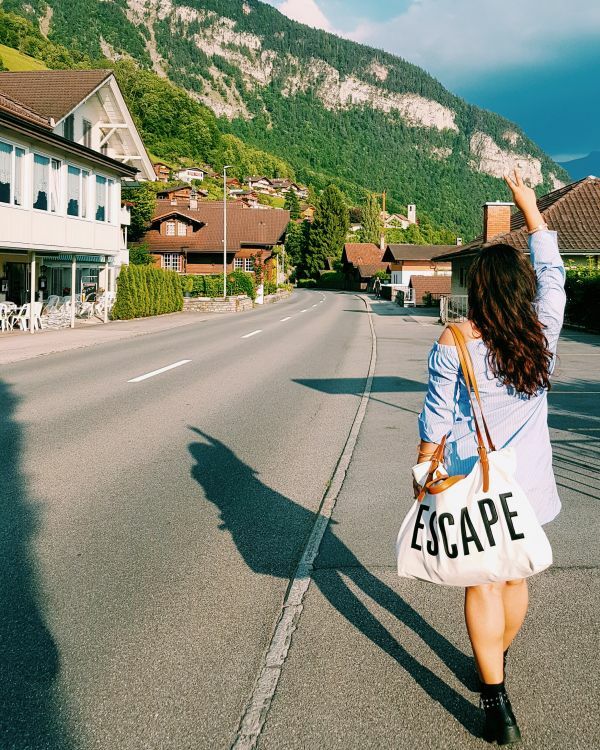 Talking about perfect honeymoons, Palki Malhotra, VP, Plixxo, recently got married and took off on a dream honeymoon to Europe, and we can’t stop drooling over the pictures. 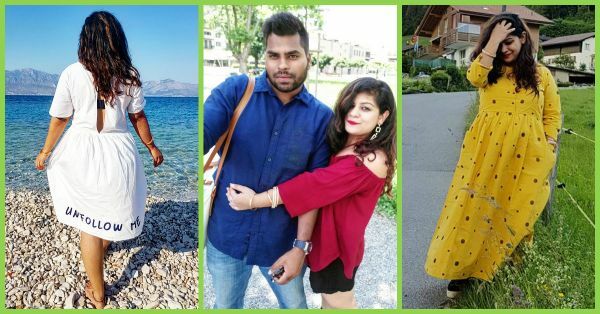 These honeymoon pictures are pure love, and you should definitely check them out for some serious #YashRajFilmGoals. 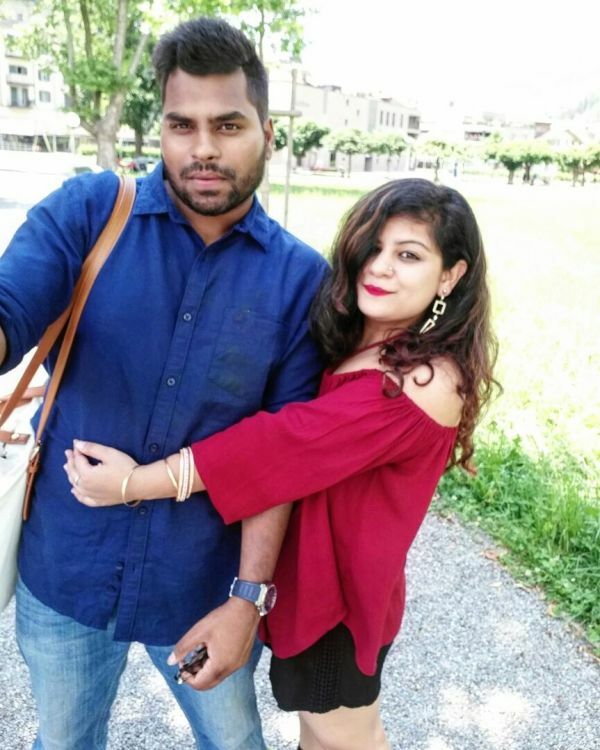 Palki and her better half, Akhilesh Kumar were together in college, but interestingly started dating after their course was over. They were together for an awesome 5 years before they tied the knot in a beautiful destination wedding at Jaipur on the 14th of May, 2017. 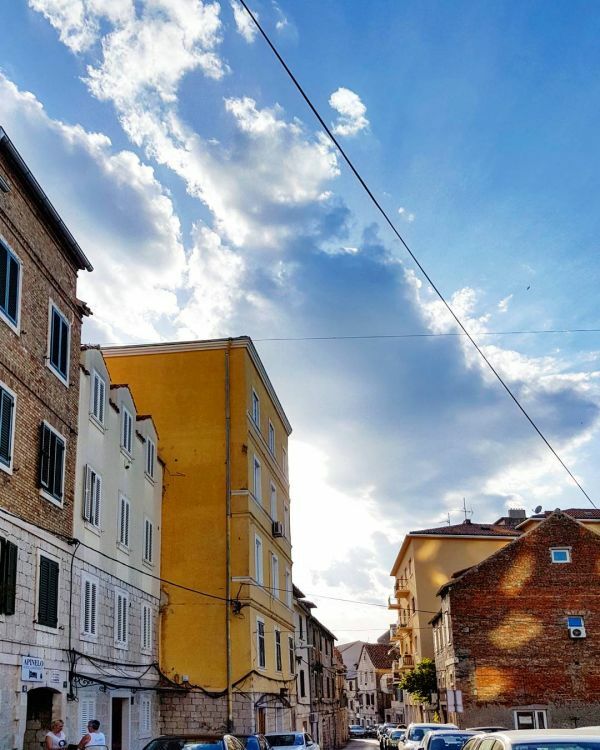 After lots of planning and discussion, the couple finally picked Switzerland and Croatia as their ultimate honeymoon destinations because they wanted to experience both, mountains and beaches. 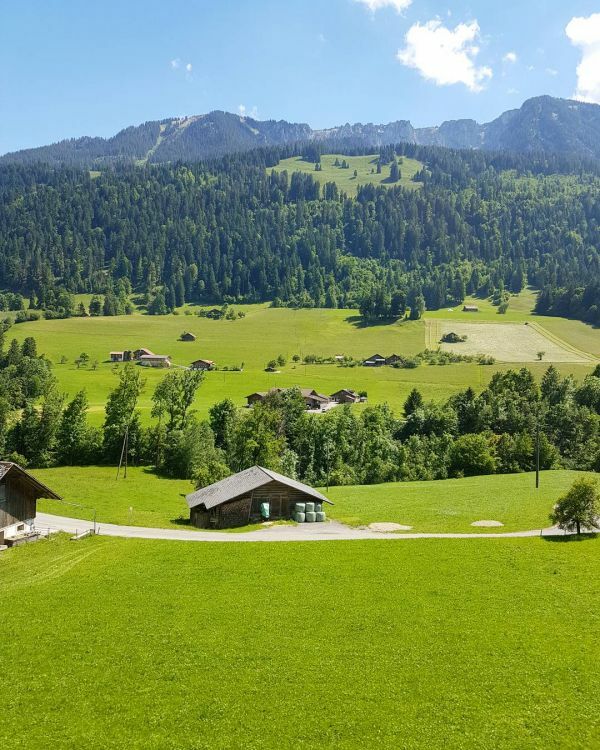 Well, the beautiful Switzerland view above is SO gorgeous… It makes us want to take a vacation too! 2. Oh, you two love birds! The ever vivacious Palki and her prince charming are giving us some major couple goals! And this picture perfect pose is just the cutest ever. Now that’s a #HoneymoonSelfie done right! Palki picked up this adorable top from Jabong and those cutesy shorts are from our all time favourite, Forever 21. The new bride is glowing in this vibrant dress from Westside, isn’t she? And the backdrop is just so romantic! We are *this* close to booking our tickets to Switzerland! 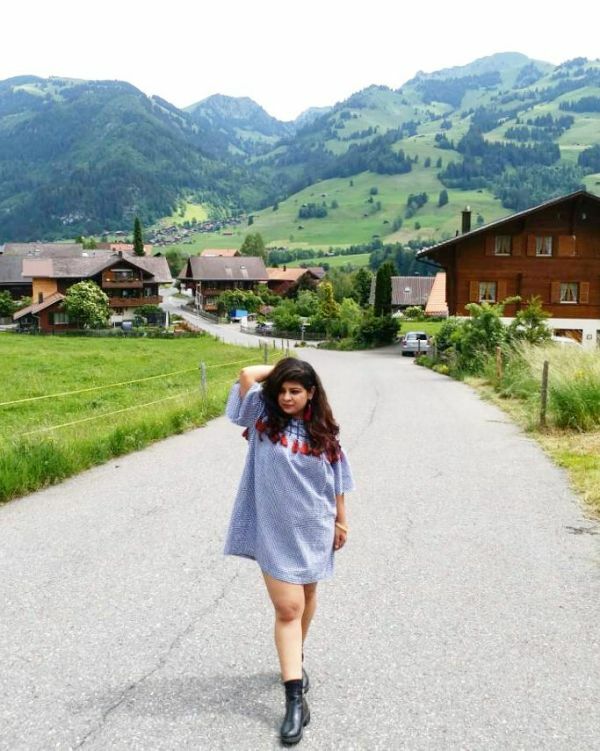 Again, we’re swooning over the view and Palki’s cute, li’l Zara dress. 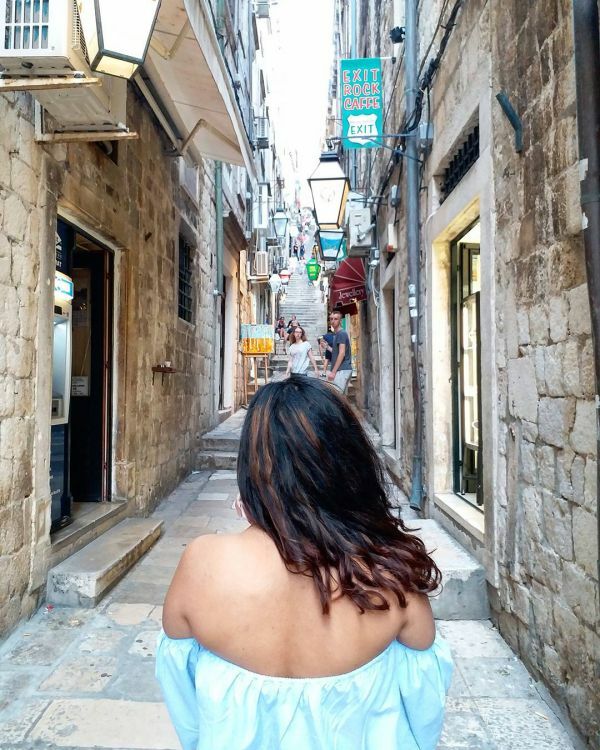 Palki shopped for most of her honeymoon dresses online and we really can’t stop crushing over all her looks. 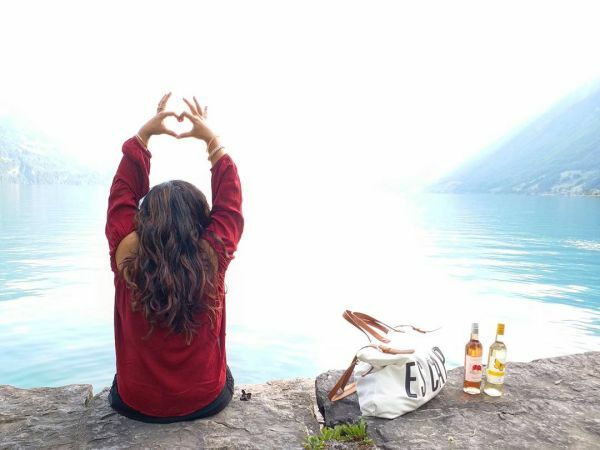 We love this picture not just for that pretty top and the beautiful view, but also for the idea behind it. Love is THE BEST escape from everything, after all! 6. Is this what heaven looks like? What better destination for your honeymoon than going to a place that is synonymous with love and romance? 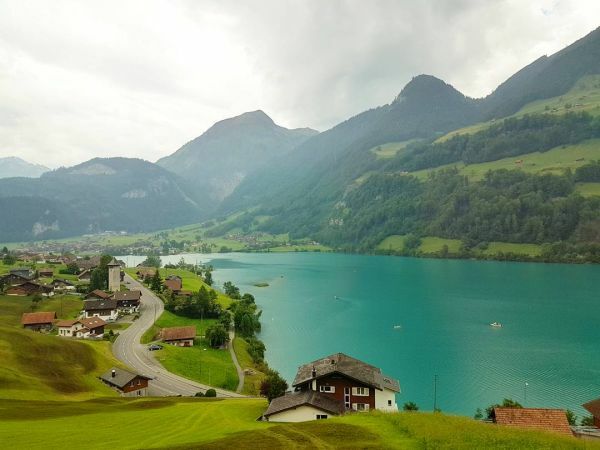 The picture itself looks so serene and we can only imagine what it would be like to experience it in reality! 7. Can this get any better? Apparently, yes! An iconic shot at this iconic destination. Oh, sweet Lord! 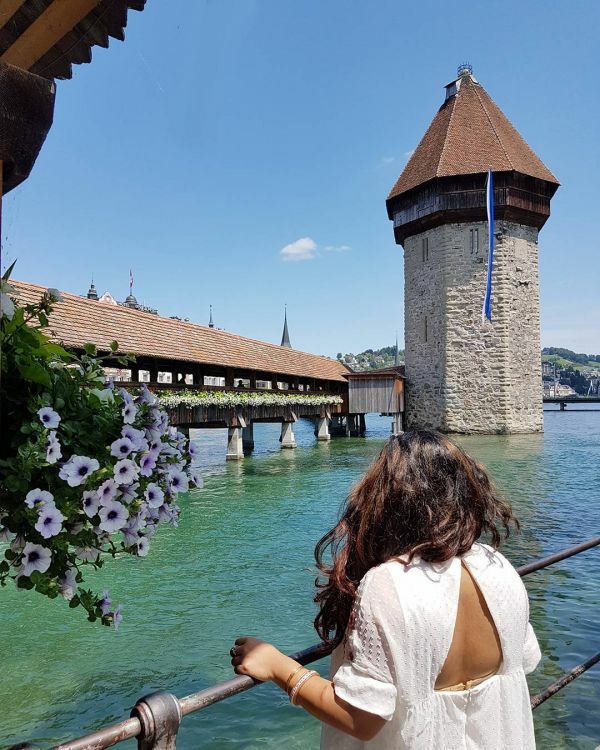 Presenting the Kapellbrucke Bridge and our beautiful Palki in her pretty white dress from Zara. 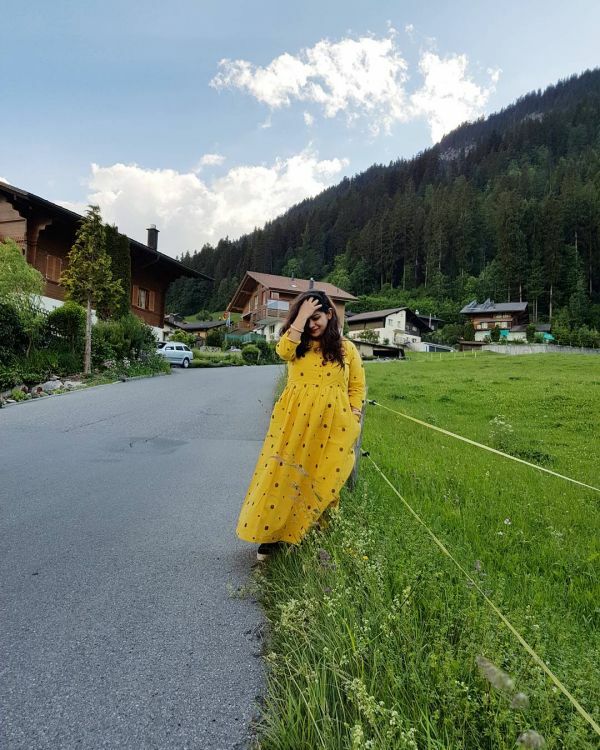 Palki admits that her husband totally loves taking great pictures of her. And the results are for you to see! 9. 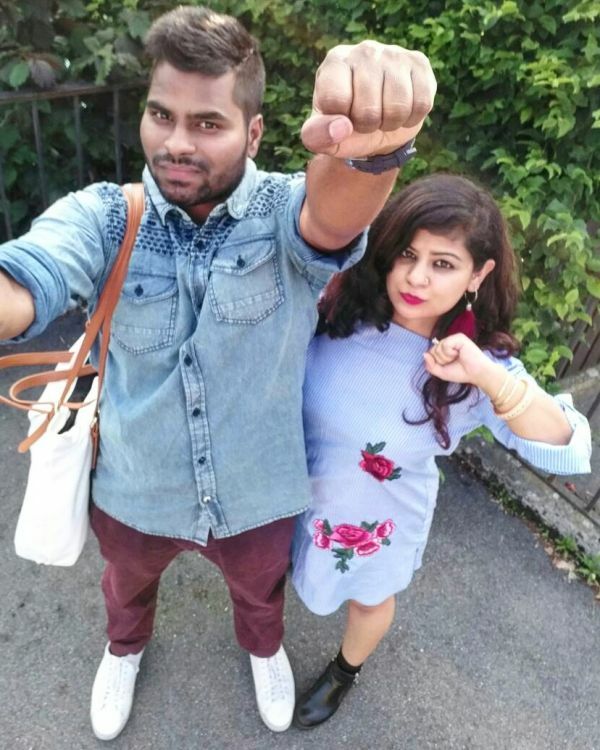 This cutesy couple’s selfie game is on point! Alright, then! We are totally convinced that Palki and Akhilesh are a ‘Super Couple’! Also, that floral dress from The Style Syndrome is just the cutest ever! Moving on to kickass destination number two. 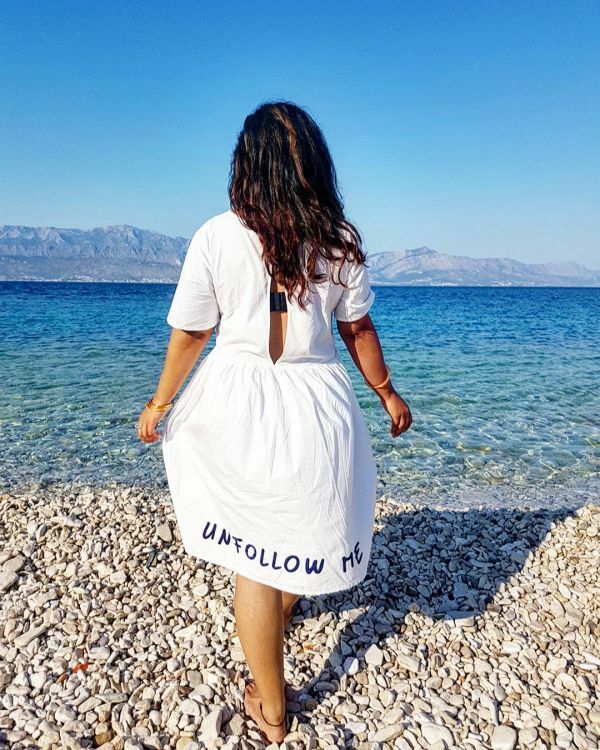 Palki and Akhilesh’s next stop was beachy Croatia... The country with an unmistakable old world charm! 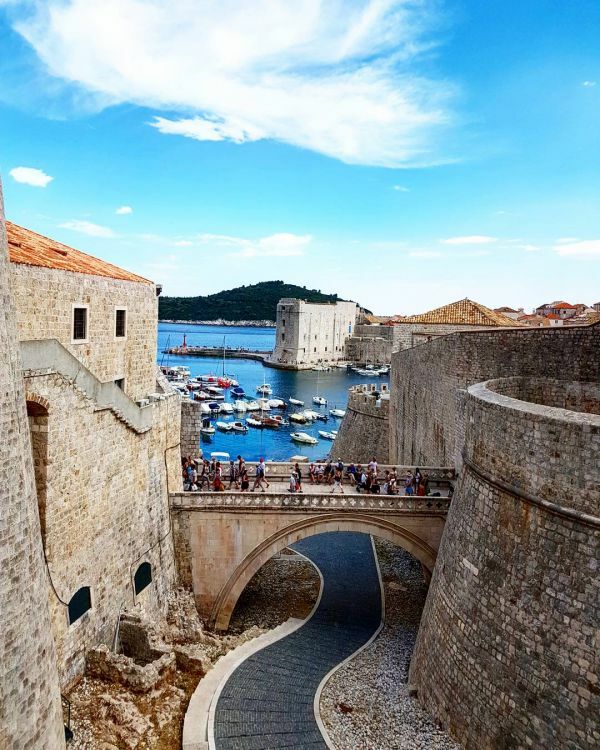 This shot from the streets of Dubrovnik is one of our favourites. It’s just so picturesque, isn’t it? Also, just how amazing a photographer is Akhilesh?! Plus, Palki is totally rocking the off shoulder trend in this dress from The Olio Stories. This picture really gives us the feels, you know, of a magnificent era gone by. But, the best part? It hasn’t gone anywhere. It is still there, beautifully trapped inside the old walls of a city. And memories were made indeed. 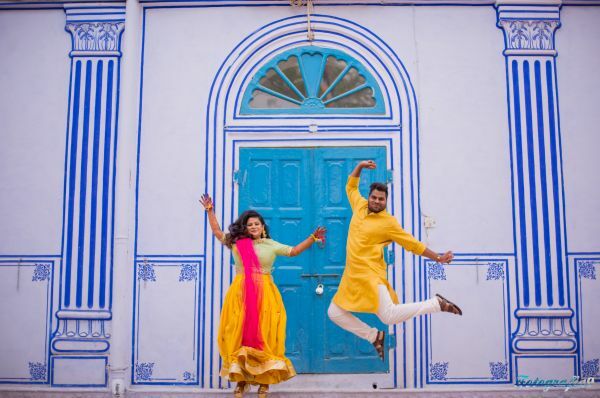 Palki and Akhilesh enjoyed a perfect honeymoon in two beautiful countries, clicked lots and lots of pictures and spent some amazing, romantic time together. 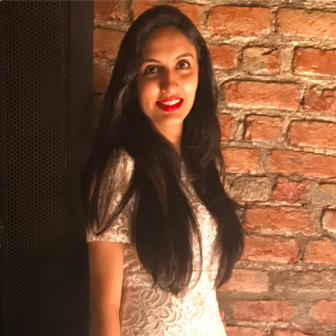 Also, you can find this pretty white dress at Koovs! In the end, Palki has an important piece of advice for couples going on their honeymoon. ‘Your honeymoon has to be a perfect time for you two, because this beautiful time will never come back. You’ll soon get busy with work and family responsibilities, so enjoy this time to the fullest,’ she shares. We wish this lovely couple lots of love, happiness and laughter in the years to come.